Previous PostMH370 – Airports in flight range on Google EarthNext PostMH370: Amateur hour at the Malaysian Remote Sensing Agency? As it seems, both the traces are for the same aircraft. (Please note the title, “Plot *from* Pulau Perak to”). The color of the plot (green) may indicate a ‘friendly exit’ as described in the Chinese note. The circle may just indicate a RADAR blind spot? There is indeed a radar blind spot from Butterworth caused by high mountains in the north of Penang Island. I checked the radar tracks of aircraft from 17:22 to 17:40 UTC and only MH30 flew west via VAMPI but much later than 17:40 UTC. Cargo plane DHL779 flew from Penang to GIVAL in the right time frame. Who can we contact at GOOGLE EARTH that is responsible for getting current satellite photos of the South Indan Ocean to get some current photos of the airports in the Xstans? well, ok, but why make complex maneuvers avoiding radar systems to head later to nowhere? Looks like you were right, Amizaur. Transponder codes can and are changed in flight. It could have been changed to a 7500, 7600, or 7700 code. The code could have been changed to a value misunderstood from Vietnamese air traffic control. 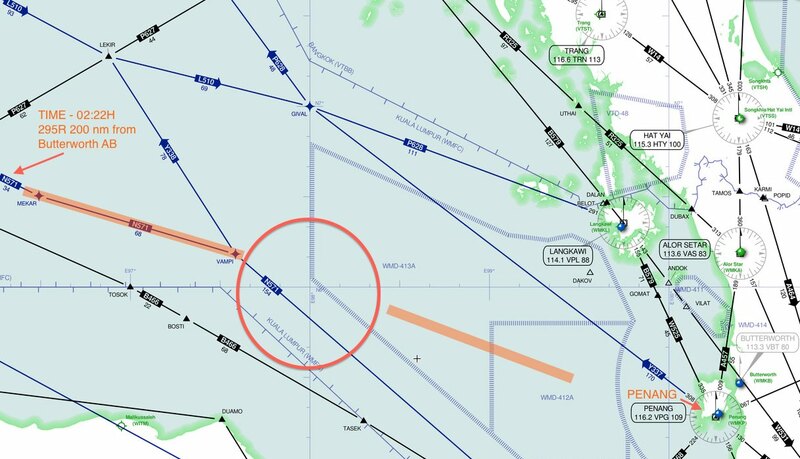 I am curious to know what your opinion is regarding the radar data shown to the families that Keith Ledgerwood claims was showing flights other than flight 370. My two cents, the goal was Perth via the Cocos but realistically never had a chance. 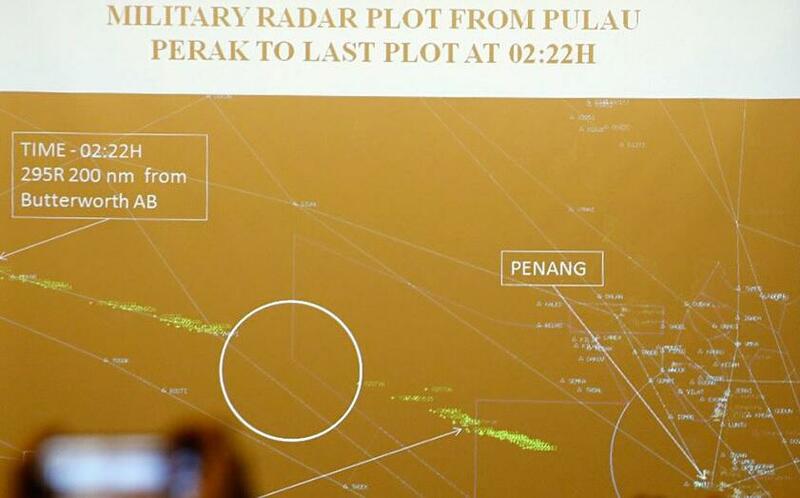 The background in the Malaysian image has all the details from an airways chart such as waypoints, tracks & TMAs. 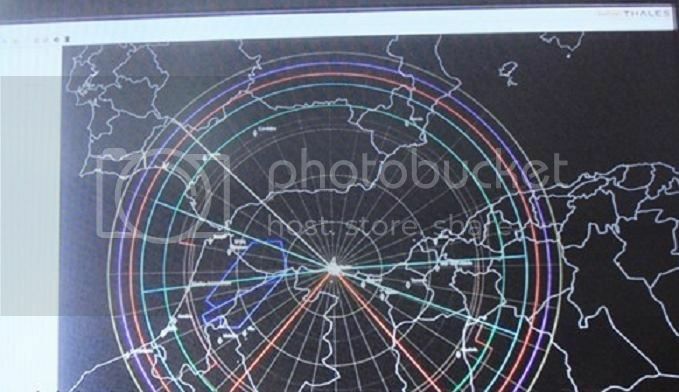 This means it is taken from the screen of an SSR radar and the phosphor trail if real has to be from an aircraft with its transponder switched on. We know MH370 did not have its transponder switched on, therefore the image is a hoax. Another point is were that aircraft track created by MH370, then the tracks of UAE343 and SIA68 are entirely missing. 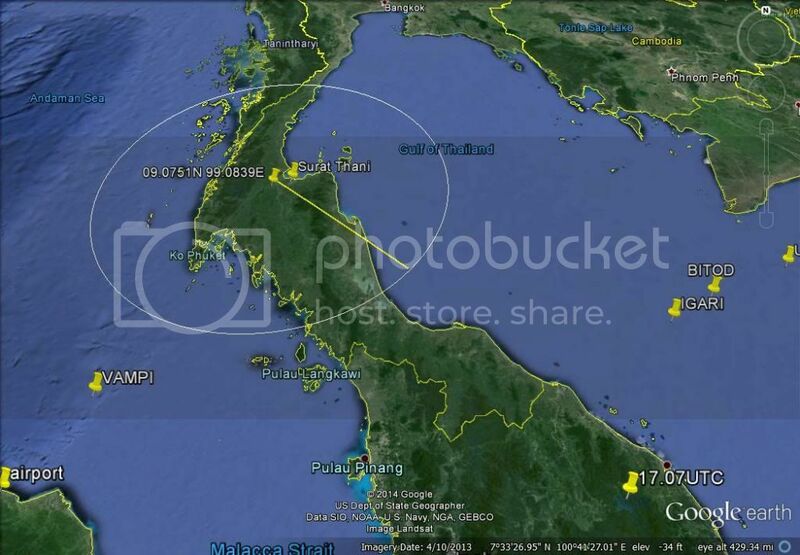 Finally Malaysia claims MH370 was also seen by Thai radar at Surat Thani, however that is also a hoax. Surat Thani with an elevation of 20 feet has a maximum range of 200nm. Kota Bharu is 240nm away. More importantly if the radar was powerful enough to see that far MH370 would have to be flying at 37,000ft, or higher. 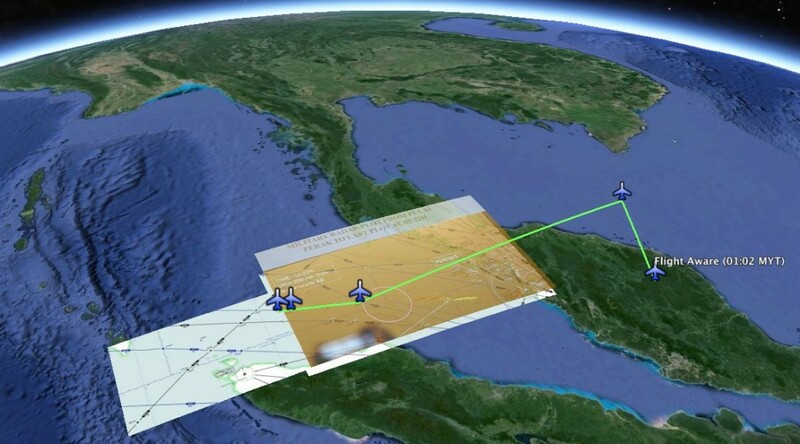 Malaysia claims MH370 was seen on radar diving west from IGARI and also claims it was flown like fighter plane at 5,000ft. 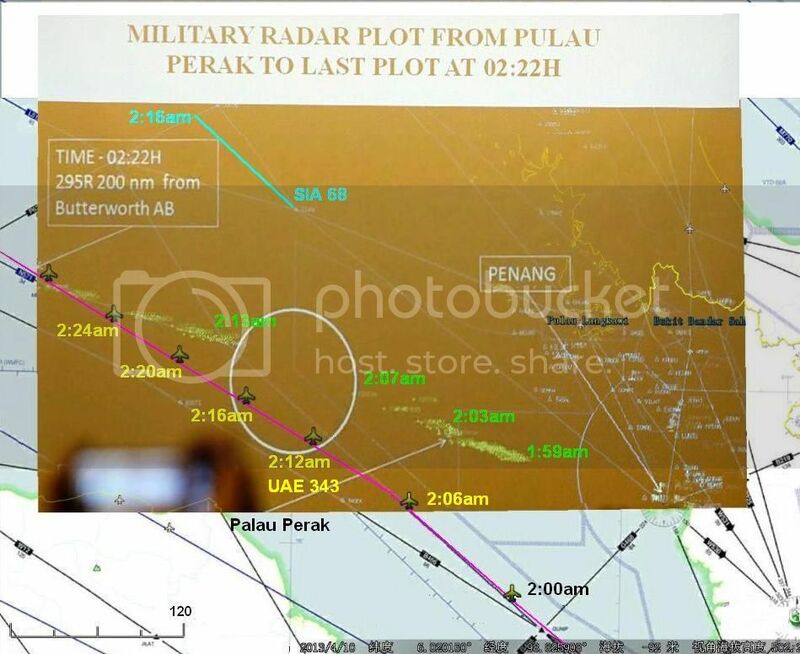 Neither Butterworth nor Thai radar saw MH370 and all the evidence supporting this is untruthful.